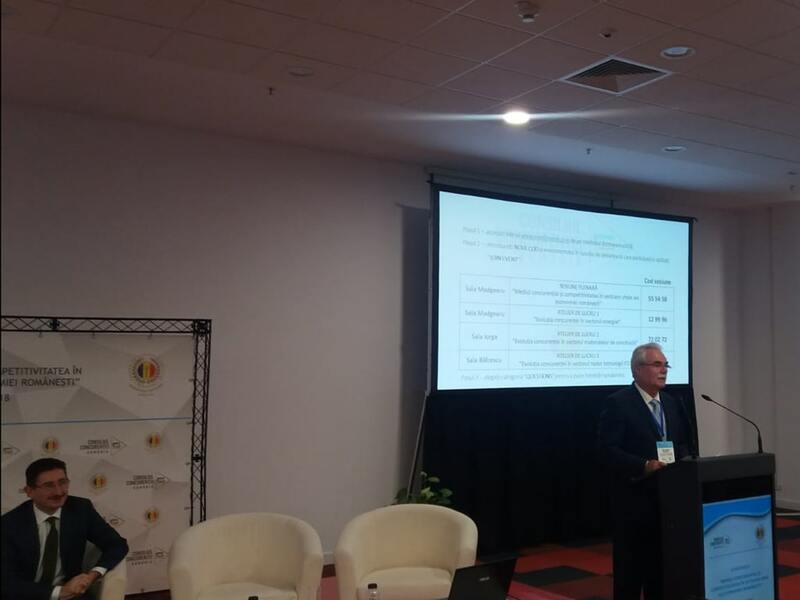 Bucharest, November 15th, 2018: The Competition Council, in cooperation with the Chamber of Commerce and Industry of Romania (CCIR), organized the conference “Competitive Environment and Competitiveness in Key Sectors of the Romanian Economy” at the Romexpo Exhibition Center on Thursday, November 15th. The themes of the discussion focused on the challenges of the competitive environment and the competitiveness in the main fields of activity in the Romanian economy, in this sense, the Competition Council presenting the annual report “Evolution of Competition in Key Sectors”, a consumer price analysis at national level. The event was also attended by Yuriy Terentyev, Chairman of the Antimonopoly Committee, Ukraine, Ms. Elena Kleininger, Vice-President, Competition Council, Mihai Buşu, Competition Inspector, Research Directorate, Competition Council Mr. Claudiu Vrinceanu, Member, Romanian Business Leaders & Founder Start-Up Bridge, Mr. Eduardo Martinez Rivero, Director of DG Competition – “State Aid: Industrial Restructuring” and Ms. Andreea Paul-Vass, President, INACO – Competitiveness Initiative. The Competition Competition in Key Sectors Report issued by the Competition Council presents the main elements of the competition policy in 2018 as well as a summary of the recent developments of the main indicators of the national economy. The investigations target key sectors of the Romanian economy (cement, eggs, immunoglobulins, hydro energy) and the final result of important investigations in areas such as retail, insurance, tourism, telecom, drilling, online trade, gas, and fuel. At the same time, the report also includes an analysis of the main factors that led to the change in the prices of consumer goods during the year 2018.